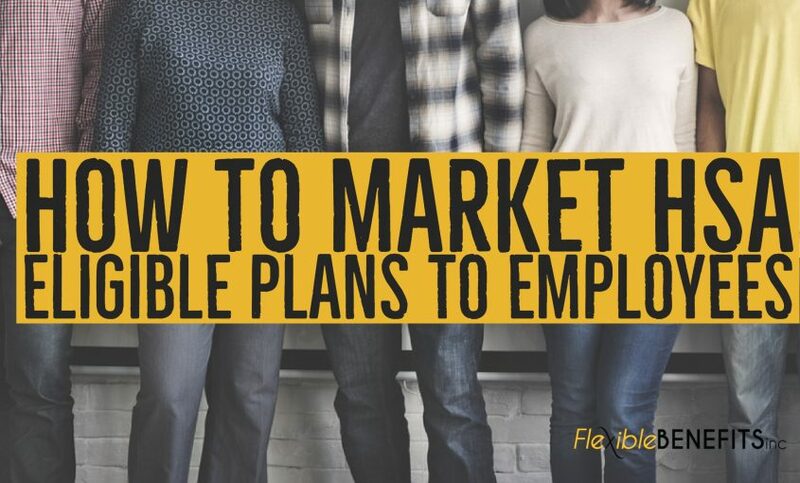 How to Market HSA Eligible Plans to Employees – Flexible Benefits Inc.
Marketing a Health Savings Account Plan to your employees starts with understanding the benefits and details of an HSA. Health savings accounts give employees the ability to pay for qualified expenses regarding their healthcare needs with tax-free contributions. Employees can also grow their savings to pay for future and often-unexpected expenses. Unexpected expenses are one of the biggest benefits of an HSA and are a great way to market financial security to your employees. Unlike other plans, funds rollover year to year. Employees will have a debit card to access this account. When marketing to your employees, be sure to include any amount your company is contributing. You’ll want to note that the money will belong to the employee, even if they leave the company. When reviewing the National Association of Health Underwriters input, we learned that companies who fully funded their employees’ premiums for healthcare plans and contributed to their HSA created an affordable healthcare plan for each employee, as well as a tax deduction for the company. Employees must choose a high-deductible health plan to contribute. Help employees by going over their annual contribution limit and reviewing IRS Rules. According to the recent IRS documentation in 2018, an individual can contribute $3,450 and an employee whose health plan covers the entire family can have up to $6,900. Employees over 55 can add $1,000 to their contribution limit. HSA’s help employees substantially reduce their taxable income and pay off medical expenses. What Can Employees Use an HSA For? If you have any questions regarding business employee benefits, Flexible Benefits, Inc. is here to answer them. Give us a call today, and let us show you what using this great benefit can do for you and your staff. Contact us at (251) 237-1115 or toll-free at 1-888-821-9007.